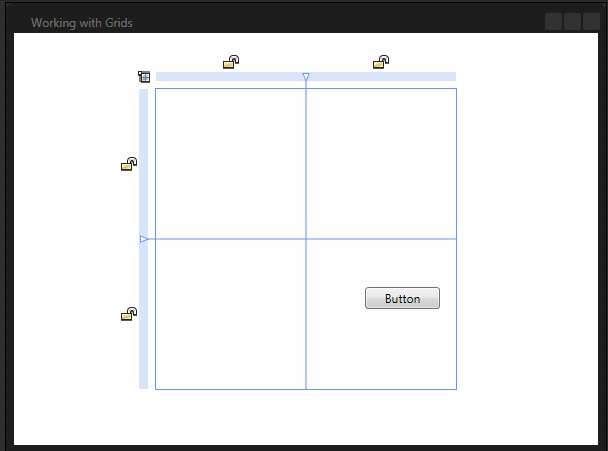 Assume that you have a simple 2×2 Grid and you use the design surface in Blend to place a Button in the Grid. 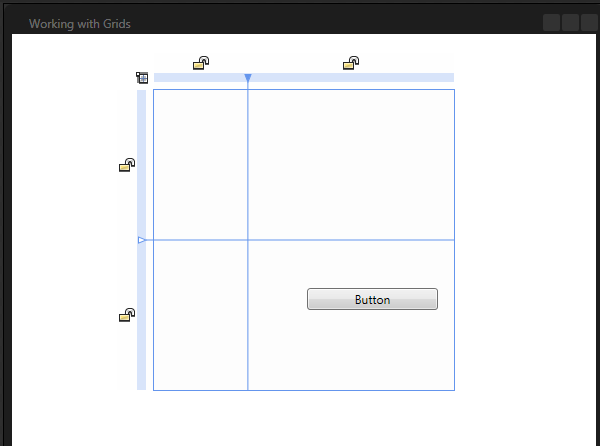 If you place the Button by dragging it and dropping it, its Grid.Row and Grid.Column properties will be set accordingly and its Margin will be set to reflect the specific spot where you dropped it. If you now change the width of the 2nd column, making it wider, you’ll notice that the button’s Margin is preserved, which means that the size of the button changes. This is normally what you want. As you change things on the design surface, the XAML does not change but the visual appearance of the controls may change.